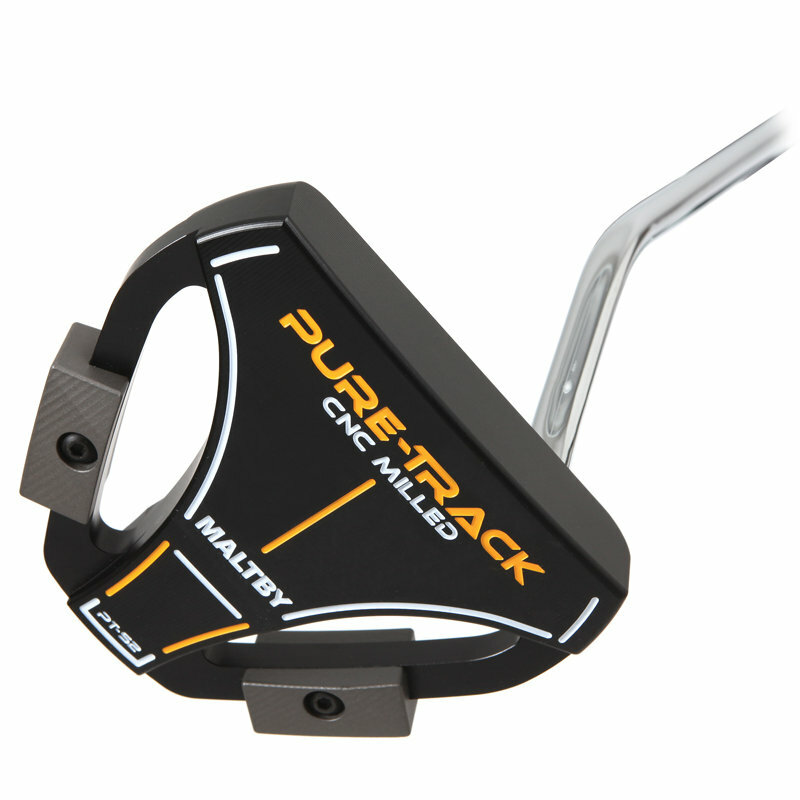 The Maltby Pure-Track PT S2 Putter is heel mounted mallet putter that offers multiple weight options to fit almost any golfers needs. Additional stainless steel weights to create a long, near belly, belly or over length putter are also available that allow you to customize your putter head to custom fit your desired head weight. The additional weights (MA0255W) attach using the included hex wrench. The Pure-Track PT S2 putter is 100% CNC milled from air craft grade aluminum for an ultra solid feel and feature 3 bold alignment lines on the top of the putter for easy alignment.